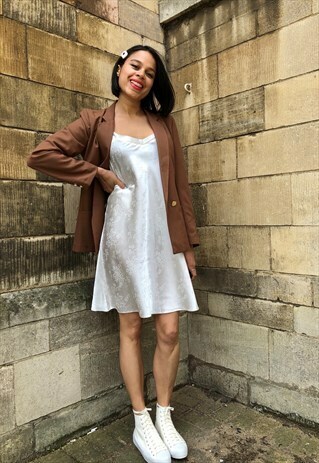 A super cute vintage 90s cream slinky slip dress. A pretty material with a floral pattern all over. Size Large, best fits uk size 14-16, shown here worn oversized on a UK size 10 height 170cms.